FIFA Website - information about the teams, an interactive schedule, the mascot, news and more! 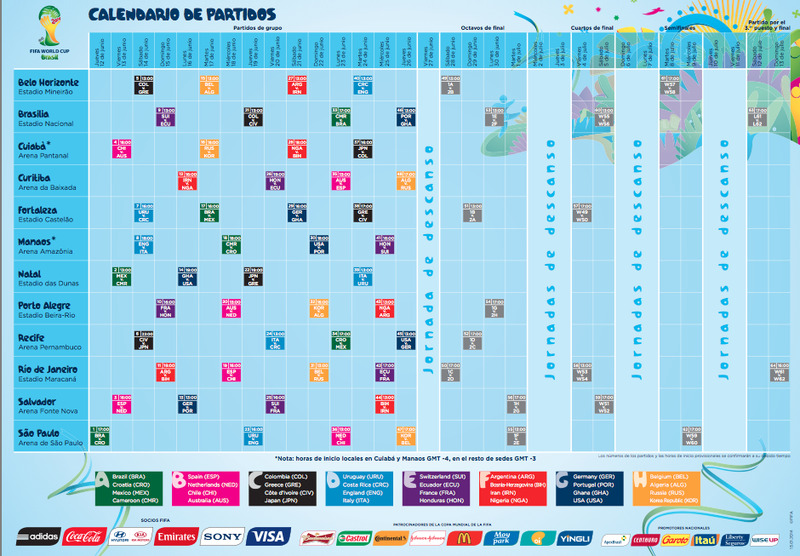 Copa schedule 2014 - use the schedule to teach the 24 hour clock, the geography and weather at the different stadiums across Brazil, or to have students negotiate which games to see. History of 2014 teams - great for an interpersonal or interpretive task about teams' past performance. ¡GOOOOOOOOOOOOl! - don't forget to celebrate each time you score! Watch some of the best goal celebrations and have students create their own! The World is Ours - the official song of the 2014 World Cup. Great interpretive activity or just to get students in the mood! Have students compare and contrast with the 2010 official song Waka Waka (in Spanish). Compare visually as well through word clouds. Learn to speak football - an easy interpretive task for students to learn some common (and not some common) football vocabulary. Also great for exploring the cultural identities within some of the words. Visit my Pinterest page for my ideas!